Visualize which regular expression will match a given test string (Cocoa). Is there a better alternative to Reggy? Is Reggy really the best app in Editors category? Will Reggy work good on macOS 10.13.4? 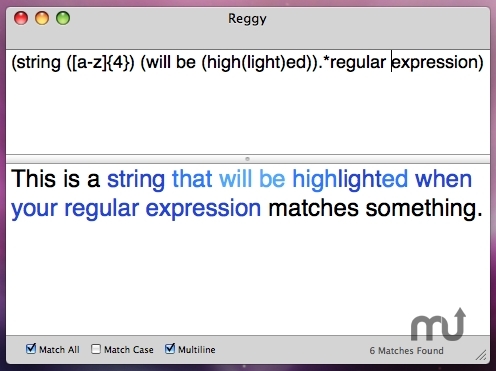 Reggy is a small OS X cocoa/objective-c application to very quickly visualize what a given regular expression will match given a test string. It will also tell you if you have errors in your regular expression.